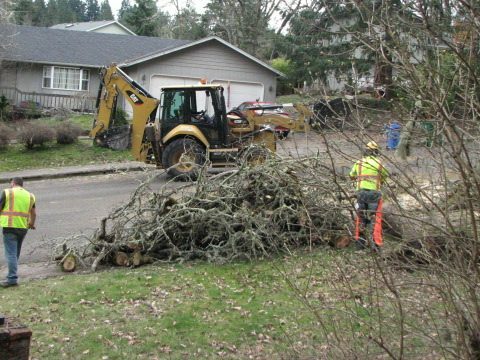 Southern Oregon is filled with hundreds of micro-climates among its many rolling hills, mountains, rivers and lakes, and the southernmost wine growing region in Southern Oregon is the Rogue Valley. Within the Rogue Valley AVA (American Viticulture Area) is the Rogue River’s drainage basin and several tributaries that include Bear Creek, the Applegate River and the Illinois River. Most wineries in the region are found in the valleys that are formed by these three tributaries. Each of the valley’s formed by the tributaries have their own unique micro-climates and terroirs, allowing for the growth of both cool climate and warm climate varietals. Most of the region is suited for warmer climate varietals like Cabernet Sauvignon, Tempranillo, Syrah, Grenache, Vigonier and Chardonnay. But the Rogue Valley’s sub appellation, the Illinois Valley AVA (which is along the Illinois River in the westerly portion of the region and at the highest elevations – around 2,000 feet above sea level) is where cool climate varietals, like those found in the Willamette Valley, thrive. As a wine writer, I receive a lot of wine for review purposes, but when I receive wine that’s not only from my home state, but also from the super unique Illinois Valley AVA, I get really excited. When I opened the box to find four vibrantly-labeled Deer Creek Vineyards wines, I knew I was in for a treat. Three of the four wines were from one of my favorite vintages in Oregon, 2011: a Pinot Noir, Chardonnay and Pinot Gris. 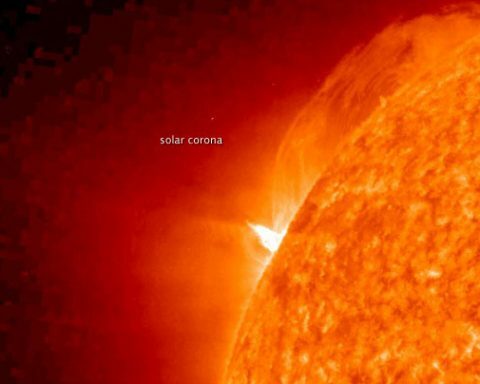 2011 was a cooler than average year in Oregon, and in cooler years wine grapes tend to yield higher acidity levels – I love wine with zippy acidity. The fourth wine was a Pinot Noir from the revered 2012 vintage. 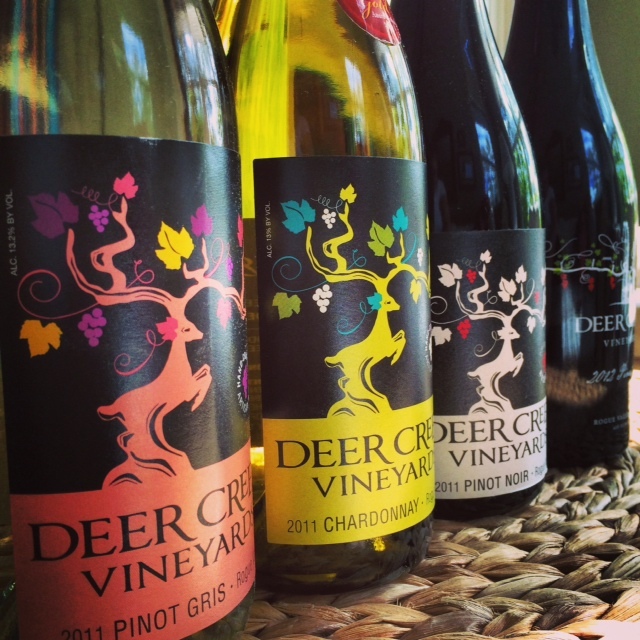 The Bryan family, owner of Deer Creek Vineyards, pride themselves on letting the terroir express the distinct characteristics of their wines. Small lot and vineyard designate, vintner’s John and Katherine Bryan are all about making hand-crafted, authentic wines that are packed full of flavors that come from the earth where the fruit is grown. 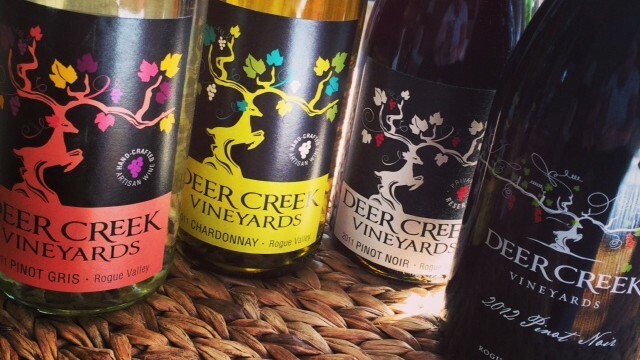 Their winemaking philosophy of creating terroir-focused wines is clearly evident in each of the Deer Creek Vineyards wines that I sampled. From the complex, bright fruits, to the well balanced, acid-driven finishes, I absolutely loved all four wines. Each showcased the varietal’s true characteristics; along with, what I am sure is the expressive terroir of the Rogue and Illinois Valley. 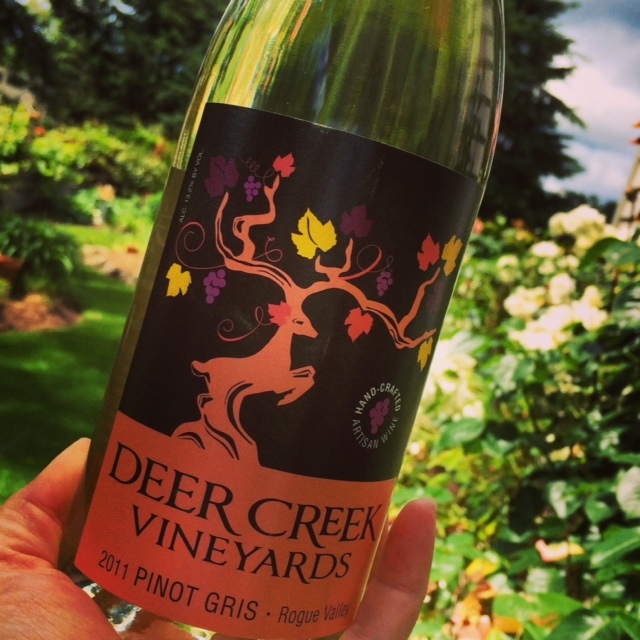 Deer Creek Vineyards 2011 Pinot Gris ($20): Bright green apple, pear and lime are highlighted by alluring spice. On the palate, vibrant fruitiness is rounded out by a lovely shot of acidity, creating a really nicely balanced wine that would not only be great with a number of foods, but excellent all on its own while relaxing in the summer on the front porch. Deer Creek Vineyards 2011 Chardonnay ($20): Meyer lemon, honeycrisp apples and a touch of honeysuckle are round and lush on the palate, leaving it coated with gorgeous complex fruit and citrus flavors. The finish is clean and focused, yet zesty lemon-lime finishes it off with a memorable zip. 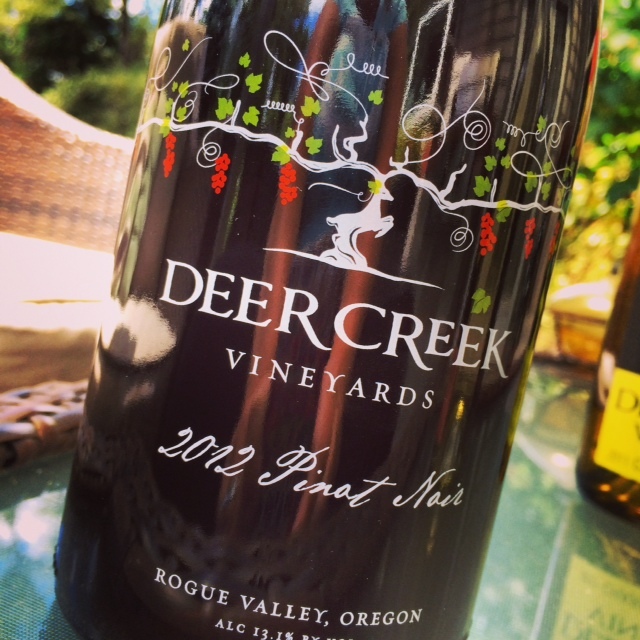 Deer Creek Vineyards 2011 Pinot Noir ($35): This style of Pinot Noir is exactly why I love this cool climate varietal! Beautiful earthy tones are highlighted by Bing cherries and fall spices – excellent acidity balances everything out to perfection. This is the ultimate style Pinot Noir for acid hounds, such as myself. Deer Creek Vineyards 2012 Pinot Noir ($50): This is the style of Pinot Noir that has wine enthusiasts around the word going gaga over Pinot. Ripe red fruits, like raspberries, strawberries and cherries are highlighted by subtle spice and rounded out by delicate, yet pronounced acidity. It’s lush and velvety mouthfeel creates a super elegant wine that is delicate, yet complex – a gorgeous Pinot Noir. I haven’t been to Deer Creek Vineyards yet, but after browsing through their website, deercreekvineyards.com, they are at the top of my list of places to visit for more reasons than just the stellar wine: the view looks spectacular, and they offer massages in the vineyard, check it out here.